Product prices and availability are accurate as of 2019-04-15 21:59:58 UTC and are subject to change. Any price and availability information displayed on http://www.amazon.com/ at the time of purchase will apply to the purchase of this product. 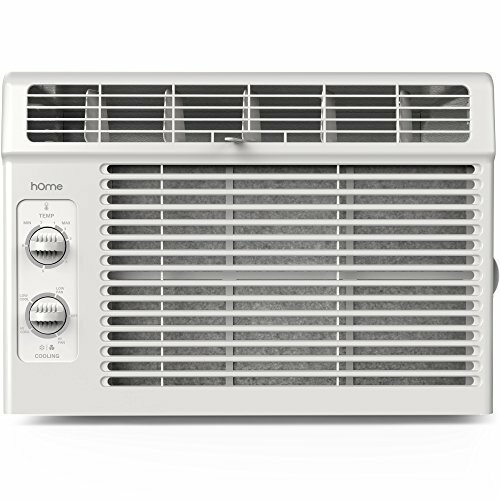 Start enjoying heavenly coolness in your room, office or garage with this little easy to install hOmeLabs 5000 BTU Window Air Conditioner. It quickly cools a room on hot days and quiet operation keeps you cool without keeping you awake. Maintenance is a breeze with the removable and washable air filter. 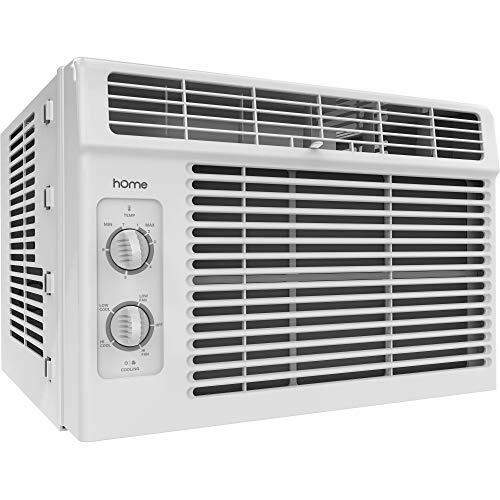 At hOmeLabs, we have exactly what you need to keep cool and dry. Note: Top Rail and Accordion Panels offset to tilt AC Unit away from room interior and provide proper pitch for water drainage. 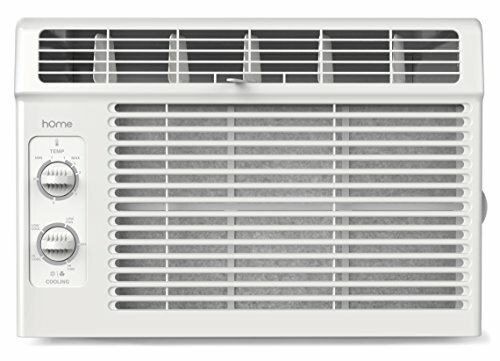 Use Level to straighten AC Unit, maintain proper pitch and prevent interior dripping. 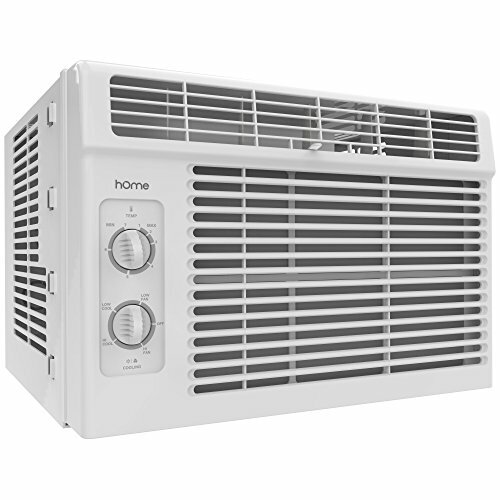 GREAT FOR SMALL SPACES - 5000 BTU window mounted air conditioner quickly cools spaces up to 150 sq. 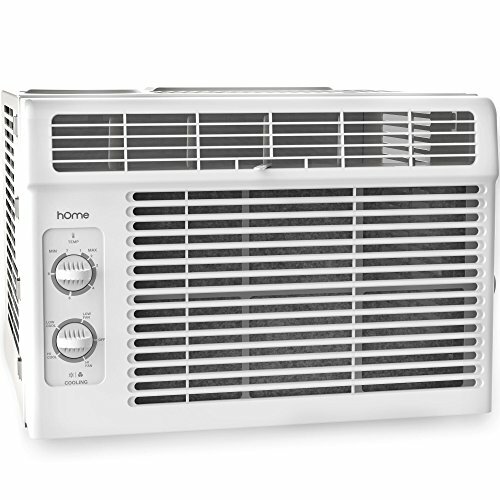 feet - perfect for bedrooms and small living rooms QUIET COOLING - Compact window AC unit for 110V/120V outlets features high and low fan settings, 2 cooling options, and two-way air flow QUICK TEMPERATURE REDUCTION - 7 speed settings for fast cooling to take rooms from hot to cold in 10 minutes or less EASY INSTALLATION - Window air conditioner includes mounting kit with leaf guard accordion panels, washable filter and user-friendly instructions for drip-free installation SIZE & SPECS - AC unit measures 12" high, 15.4" deep and 16" long - ideal for window length between 23" - 36" with minimum window height 13"